Cocoa Sandalwood is one of the most dynamic fragrances I have experienced in a long time. It moves through its stages with a quiet force that is palpable, alluring, and in the end, becomes an intimately beautiful sandalwood fragrance. The opening notes do not hint much to a sandalwood experience though. Like I said, this a dynamic perfume and it has an interesting itinerary. Initially, the first wood encountered is cedar, charged with coffee and cocoa, all very pure. When I say pure, I mean there’s no pencil shavings to the cedar, no roughness, just smooth dense wood. And the coffee is not bitter and the cocoa is not sweet. The three notes are solidly together, opening the fragrance on sure footing, without a lot of embellishment. But just when you think Cocoa Sandalwood might be a simple (yet lovely) fragrance, the heart notes develop and within fifteen minutes powdery roses, creamy peaches, nutty vetiver and sweet coconut are wafting about. Vetiver? Coconut? I love this! I’m wearing Cocoa Sandalwood today and the vetiver-coconut stage has been particularly pronounced. The perfumer, Laurie Erickson, confirmed that there is vetiver in the formula and that the coconut scent exudes from the peach lactone which has a fatty-coconut scent before it fully settles into its peachy goodness. Today, this perfect medley of spicy woods, fleshy fruit and not-too-sweet florals has lasted longer than any other wearing. 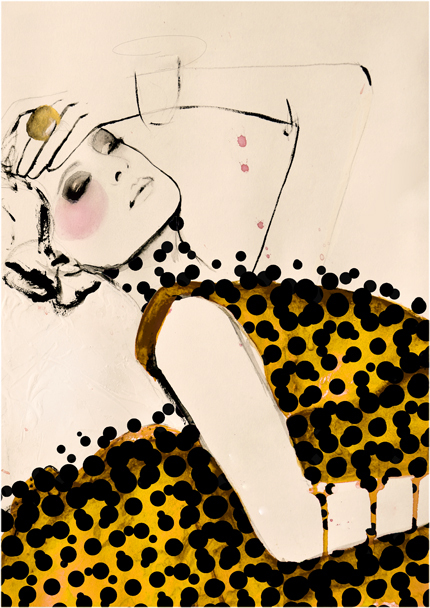 Yet, I do not lament moving forward into this perfume’s journey which shifts into a more unfettered rose-peach phase. This of course allows for a clearer appreciation of the peach note and a smooth passage to the musky sandalwood drydown that awaits. So let’s talk about this drydown since really, it’s what we’ve all been waiting for. I know it’s what I was waiting for when I first wore Cocoa Sandalwood. This is a sandalwood that is soft but not soapy, woody but not dry or sharp, and I wondered, “Is this finally going to be a sandalwood fragrance I can wear? One that I can truly love and feel like it’s me?” Truthfully, I can answer these questions with a resounding, “Yes!” I don’t know if it’s the creaminess of the New Caledonia Sandalwood Laurie has used, or the perfect balance of musky ambrette seed, or her overwhelming talent as a perfumer (ding ding ding!) but I have finally found a sandalwood fragrance that is mine. Fragrance Notes: Cocoa absolute, coffee absolute, ginger CO2, cinnamon bark EO, clove bud absolute, natural peach lactone, rose absolute, Virginia cedar, New Caledonia sandalwood absolute, ambrette seed CO2, vanilla. 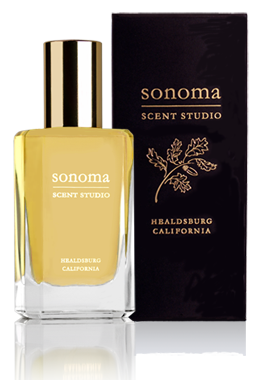 Cocoa Sandalwood is available at Sonoma Scent Studio. Scroll all the way to the bottom to find Cocoa Sandalwood which is the only fragrance available in bottles on the website at this time. $25 for 5ml Travel Spray. (Other sizes available). That coconut you speak of… is it most terribly intrusive and natural or is it more like the deployment of the same note in Mitsouko with a somewhat petroleum feel. This could be the decider for me, as oddness that I am, I don’t want to smell of a coconut but I’m happy to be a garage. Very lovely review, and I’m now all ears to your future pronouncements. Dearest Dandy, I wouldn’t say it’s intrusive at all, it’s smooth and milky and compliments the peachy tones as well as the rose and vetiver nicely without a tropical feeling. It doesn’t have a petrol edge which sounds like that might be disappointing to you. But I wouldn’t rule this one out entirely. If there are others from her line that pique your interest, consider putting a sample in the shopping cart. Laurie has quite the fumehead following, give her site a gander! The Dandy does peach both with and without petrol, but is a little afeard that this scent might be a little sweet for his somewhat savoury tooth. No matter, this collection as a whole has very much gotten The Dandy’s attention and he is very much looking forward to sampling it very soon. Wonderful review! And I love the image that you choose. So perfect! I’m not sure if I got much coconut at all . . . I felt like it was creamy, milky, almost buttery. The peach lactones reminded me more of peaches and cream than Mitsouko’s peach. It all adds up to deliciousness. I finally catching up on emails and found this review. I have read other glowing reviews of CS, but it is yours that has made it go way up on my list of priorities to sample. Lovely work!